Double digits - super cool, yeah? Reached (Matched #3) is the third and final book in the Matched series, a series of young adult dystopian novels written by Ally Condie. It has the three central characters to the series - Cassia, Ky, and Xander - in completely separate parts of the world, but each working in some way for the Rising. The Rising's goal is rebellion and an overthrow of the Society through biological warfare (in this case, a virus that only they can cure). While all seems to go well initially, things get complicated when the virus mutates. Suddenly the cure The Rising thought they had is no longer effective, and finding a new one becomes a race against time that both The Rising and one member of the trio may not have. I was on a young adult dystopian fiction reading kick (ala The Hunger Games and Divergent series). My youngest sister had the first book in the Matched series sitting on her bookshelf. Combine that with the sight of my niece's copies of books in the series lying around the house when I went to visit, and suddenly I needed to read the series. I got through Matched and Crossed fairly quickly, but this one got set to the side after a chapter or two because of its slower pace. I'm glad I did set this one to the side and come back to it. Unlike Mockingjay and Allegiant, Reached took us through the potential outcomes when biological warfare comes into play. Therefore, it didn't seem to move as quickly. I was okay with the slower build, especially because of the tendency I've noticed in series work like this towards longer and more dense final novels. 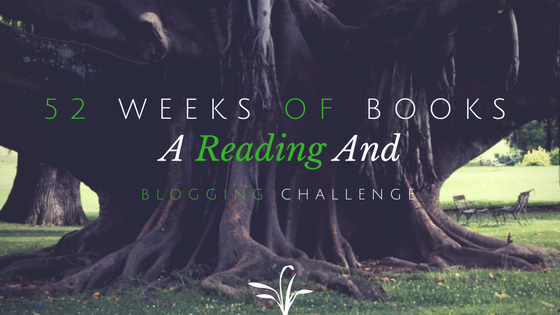 Reached has all the layers, but the slower pace gave me time to absorb and understand better what was going as I was reading it. I also thought coming at the angle of a quieter uprising by using a virus to get the people's attention was an interesting idea to explore, versus civil war (or the potential for it). 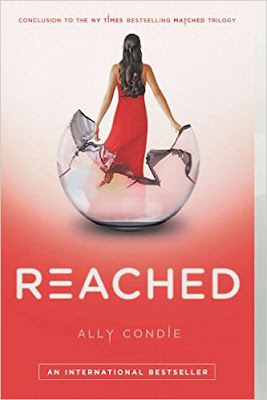 Maybe it was just young adult dystopian fatigue, but I had a harder time connecting to the main characters in Reached, though. I could completely connect with Katniss and her grief over the loss of Prim after everything she'd done to keep Prim safe. And Tris's fate had me throwing Allegiant at the wall because it hurt so much at the same time as it was so in-character for her. I can't say I had the same level of investment in Cassia and what happened to her, Xander, or Ky. But, like I said, that might be fatigue with the genre. The Matched series is one of a number of dystopian young adult series that have come out in recent years. Reached is a slower pace overall than others, but it (and the series as a whole) are well worth a read. The genre asks questions that we as individuals and society as a whole need to be able to answer. Is this a road we really are going down? What are we doing that makes this a possibility? Is the short term benefit of [thing we are doing] really worth what will most likely come down the line? I don't really have any answers, but I do think we need to carefully consider.